Are 당신 excited about Georgina being cast as 퀸 Elsa from Frozen, in Season 4 of Once Upon a Time? The fans pick: Yes, I think Georgina will be great as 퀸 Elsa! Which of these Georgina Haig 아이콘 from the movie Crawl is your favorite? Do 당신 think Georgina Haig is pretty? Do 당신 like Georgina as Etta Bishop on Fringe?? Following the news last week that Georgina had been casted as Elsa for the upcoming season of Once Upon A Time, she spoke with the Australian Associated Press about her processing of auditioning and landing the role. 당신 can check out the interview below, where she also talks about her new husband – Actor, comedien, and screen-writer, Josh Mapleston. 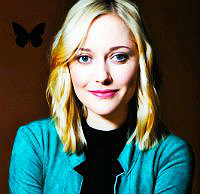 Joining Jade in the portrayal of the key women in the story of INXS are Georgina Haig (Fringe, The 코끼리 Princess) as Paula Yates and Mallory Jansen (Howzat! Kerry Packer’s War) as Helena Christensen. Georgina’s headed to our tv’s full time, it’s just been announced that her pilot “Reckless” has been picked up 의해 CBS! TVLine has learned that ABC’s Once Upon a Time has cast Fringe alum Georgina Haig in the 자두, 매 화 Season 4 role of 퀸 Elsa of Arendelle — aka the chillin’ quasi-villain of filmdom’s Frozen. a pop quiz question 추가되었습니다: What was the name of Georgina's character on Limitless TV Series?